Tune in to Afternoon New Music show this Monday April 9th from 3-4pm as we welcome drummer and composer, Tomas Fujiwara, who will share compositions and discuss his music ahead of his week-long Stone Residency from April 10-14. Fujiwara's drumming has been described as nuanced and pliable, solid but evershifting, and almost orchestral in scope. 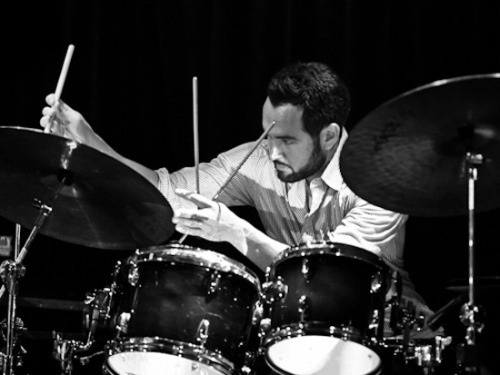 Raised in Boston, MA, Tomas studied with legendary drummer and teacher Alan Dawson for eight years before moving to New York at the age of 17. He is currently a member of ensembles led by Taylor Ho Bynum, Mary Halvorson, Matana Roberts, Nicole Mitchell, Matt Bauder, and Tomeka Reid, in addition to projects with artists such as Anthony Braxton, John Zorn, Michael Formanek, Ben Goldberg, and Benoit Delbecq, and has performed at festivals and venues across North America, Europe, Asia, Australia, and the Middle East. He also has many experiences outside the jazz realm, including a five-year run with the Off Broadway show Stomp and performances with the Tony Award winning Broadway musical Fela!, featuring Patti Labelle and members of Antibalas.